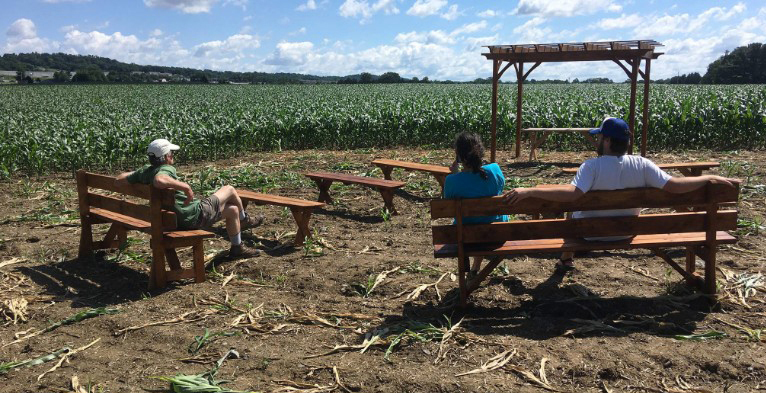 WASHINGTON (CNS) — A Pennsylvania religious congregation planned to petition the U.S. Supreme Court to consider whether their religious freedom rights are being violated by the construction and pending use of a natural gas pipeline on its land. The Adorers of the Blood of Christ are rooting their legal argument in the Religious Freedom Restoration Act, saying that their “deeply held religious convictions about the sacredness of Earth” would be violated once the Atlantic Sunrise pipeline becomes operational. “We think the 3rd Circuit turned it (RFRA) on its head to apply the Natural Gas Act to RFRA rather than RFRA control the Natural Gas Act,” attorney Dwight Yoder told Catholic News Service. He said RFRA provides no provision for individuals to “proactively” inform a federal agency or federal employee to comply with the law. To do so “is absurd in our opinion,” he said. Instead, he said, federal agencies are compelled under the law to ensure that RFRA’s protections are enforced foremost. Sister Bernice Klostermann, a member of the congregation who has been involved in challenging the pipeline, told CNS that the order’s claims are important in a country in which religious freedom is a cherished value. The Adorers have long held that allowing construction through their land would run contrary to the congregation’s Land Ethic. Adopted in 2005, the document upholds the sacredness of creation, reverences the earth as a “sanctuary where all life is protected” and treasures the earth’s beauty and sustenance that must be protected for future generations. Sister Klostermann said that the pipeline violates the congregation’s Land Ethic because leaks of natural gas undoubtedly will occur, polluting the land and air. “We are really collaborators with God. It’s not like creation happened way, way long ago. Creation is a process. God created man and we are right here creating alongside of him. We are co-creators and stewards of the land,” she said.